With May 7th fast approaching and as the UK’s political leaders battle hard over what could be the tightest election in a generation, Tony Harris of IFA ContractorMoney looks at the major parties’ manifestos to decipher the pluses and minuses for contractors’ pockets. Scarcely a day goes by at the moment without one of the parties making a statement relating to pensions. It seems that in the run-up to this 2015 election, the tax relief on pensions (notably the higher rate) appears to be a cash cow that can keep being trotted out less visibly and therefore politically safer than an outright one penny hike in income tax, to fund pledges ranging from university fees to inheritance tax reform. Those that are set to be hardest hit by all three of the major political parties are freelance and contract consultants earning over £150,000 a year. Conservatives - If the Conservatives win they are proposing to reduce higher rate tax relief on pension investment for contractors on £150,000 or over, on a sliding scale until you reach £210,000, when your annual pension contribution allowance would drop from £40,000 currently to just £10,000. Aimed at the very highest earners, many contractors will be unaffected by this proposal. Labour – If Labour wins then they are planning to rehash plans announced in their 2009 Budget which would lead to tax relief being cut to 20% for contractors earning over £150,000. Liberal Democrats – Pension Minister Steve Webb is touting ideas to completely reform pensions tax relief altogether with one flat rate of tax relief regardless of how much you earn. It is thought that this could be 30% following comments made by Webb last year. Whichever party is victorious in May, one thing looks certain; the pensions industry is set for yet more change over the next five years. With our contractor clients in mind we hope that, whoever wins, the next parliament will see George Osborne’s pension flexibility rules continue unchanged, as these have had a very significant and positive impact on contractors’ attitudes towards pensions since they were announced last year. These reforms certainly sweetened the bitter pill on pensions that contractors have been forced to swallow in the shape of a lowering in the lifetime allowance, which fell from £1.8m to £1.25m, and is now set to fall further still -- to £1m. We hope that tax relief will remain untouched; not just because of the harmful message that a cut would sends to contractors who have diligently built up their nest egg over years of hard graft contracting, but also because any cut could have a much more serious impact on the contractor community than proposals aimed at people earning £150,000 or more. With the housing shortage making headlines every day, young voters in particular have their eyes firmly fixed on the property market. As a result, the three main parties have had to work hard to produce some meaningful policies to rescue the growing number of constituents that are forced to rent or live in the Hotel Mum and Dad. Conservatives – Chancellor George Osborne is all too aware of the importance of housing in the battle for this year’s election which is why he dedicated part of his 2015 Budget speech to extol the virtues of the new Help to Buy ISA. This latest addition to the Help to Buy family of policies allows contractors to invest £200 per month, and the government will top it up by £50 up to a maximum of £3,000. This will help first-time buyers save a £12,000 deposit in a tax-efficient ISA and we are expecting to see a large take-up when the scheme launches in the Autumn. The Conservatives have also ‘stolen’ Labour’s pledge to build 200,000 new “starter homes” over the next parliament but theirs would be specifically aimed at first-time buyers. A new ‘Right to Buy’ proposal for housing association properties has also grabbed headlines. Labour - Ed Miliband has been sticking with his party’s main pledge to build 200,000 homes a year by 2020, and 125,000 of those will be paid for by raiding a £5billion housing pot belonging to Help to Buy ISAs. He’ll also introduce the so-called ‘Mansion Tax’ – payable on properties worth over £2million – and will placate first-time buyers further by vowing to give them top priority when they are looking to buy in new housing areas in their locality. Labour is also looking at reviewing the property market in London amid concern over the availability of first-time buyer properties in the capital, but they have yet to put forward any concrete policies to rectify this. It is however specifying that, in the rental market, it wants to make three-year tenancies the legal norm and impose a cap on rental increases. These moves could have implications for contractors who have buy-to-let property. Liberal Democrats – The Lib Dems have chosen to focus on those that are still living with parents and are desperate to move into a rental property by offering government-backed loans. Nick Clegg and his party are proposing to allow people to borrow up to £2,000 in London and £1,500 in the rest of England to put towards a deposit under their ‘Help to Rent’ scheme. This is an interesting path for the Lib Dems to take, but is likely to concentrate its appeal to young voters because they won’t need to wait to save a deposit to buy before they can move out of the family home. It follows hot on the heels of the party’s other election pledge for a ‘Rent to Own’ scheme, under which first-time buyers can pay above market rent to slowly takeover the ownership of their home. Also in their manifesto, the Lib Dems have promised to build 300,000 new homes by 2020; set up the Intermediate Housing Fund and ban letting agent fees if not transparent enough. Like pensions, housing is an area that the main parties are jostling to have the edge on. Unlike pensions though, where the targets are the well-established high earners, it is those who are not yet established in the market – first-time buyers - who are driving the parties’ electioneering. Some of the attempts to boost the supply-side of the property market will be welcome by existing mortgage-holders too, especially if they wish to move up the property ladder, amid signs that the Easter ‘bounce’ in the market was softer this year due to the election. What’s clear is that the market’s main problem of supply persists – official figures show house-building has more than halved, from 288, 600 in 1978/79 to 140, 930 in 2013/14. All eyes will be on next government, whatever its hue, to address this shortage, and urgently. Inheritance tax is a hotly contended issue for the 2015 election, with Conservatives offering to increase the threshold to £500,00 (from £325,000) when property is included, which would allow a couple to pass on a £1million property to their children, completely free of IHT. This is likely to be a very popular policy in London and in parts of the South East where even modest family homes can be worth £1million due to the recent house price boom. However it has been widely criticised by Labour and the Lib Dems for being too elitist and favouring wealthy homeowners. The Conservatives are planning to use the funds that they will recoup from cutting the pension allowance. We would welcome this change to Inheritance Tax for clients and when combined with new rules allowing pensions to be passed down the generations, many more contractors will now be able to avoid IHT altogether. But the boldest proposal as far as IHT is concerned is UKIP. The party says it would abolish the tax entirely by 2020, at an estimated cost to the Treasury of £5.1bn. The Greens too have an eye-catching proposal on IHT – they would get rid of it only to replace it with what they call an “accessions tax,” the rate of which would be levied based on the wealth of the recipient. Personal Allowance Raise it to £12,500, and ensure it raises more quickly in future (it was £6,475; it’s now £10,600) Raise it to “at least” £12,500, and bring forward the planned rise to £11,000 to April 2016 No mention in manifesto of personal allowance. But the party will raise the NMW to “more than” £8 an hour by 2019 UKIP says it will raise the personal allowance to £13,000 by 2019-20. The Greens propose a NMW of £10 an hour. Of course it’s not all disagreement – on the state pension, for example, all the parties are committed to ensuring that it rises each year by earnings, inflation or 2.5%; whichever is the greatest. We still believe that pension provision by the government is woefully inadequate and so freelancers, contractors and others who work for themselves should build their own private nest eggs. That’s our recommendation even if the Greens get into government and put in place their proposal for a state pension of £180 a week. With equal certainty, I can assert that the increasing volume of voters now contracting, freelancing and working independently has become a political force to be courted by the main parties – even if their leaders don’t always look like they recognise that fact. 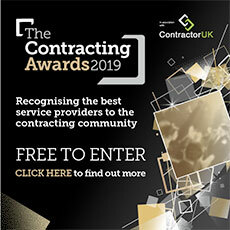 Only time will tell what the next five years will mean for freelance professionals’ personal finances but one thing is for sure; the decisions that the UK’s army of contractors make in the polling booths in 15 days’ time could have a real impact on the result.